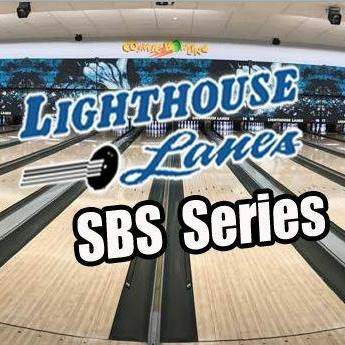 OSWEGO, NY (June 22, 2018) – Following a successful opening event at the Evans Mills Speedway just over a month ago, the Lighthouse Lanes SBS Series will continue its season into the summer with the ‘Friday Night Lights’ special scheduled for next Friday, June 29 at the Spencer Speedway in Williamson, N.Y. The Friday night show at Spencer sets up a double header weekend for the Oswego style Small Block Supermodifieds with the Independence Weekend 35 presented by Galloway Century 21 and Oswego D-Bus taking place the following day at Oswego Speedway. It is almost certain that next Friday’s program will see a brand new winner at the Spencer Speedway as the ten Small Block Super events contested at the Wayne County oval have seen JJ Andrews, Steve Austin, Russ Bartlett, Bob Bond, Russ Brown, Dave Gruel, John Ketcham Jr, Lou LeVea Sr, Daryl Nichols and Matt Wheeler all visit victory lane with no repeat winners. Should Brown not join Dave Cliff, Chris Proud, Mike Bruce, Barry Kingsley, Cameron Black, Brad Haynes, Bryan Haynes, Greg O’Connor, Dennis Richmond, Cameron Rowe, James Babcock and the rest of the drivers expected to invade next weekend, the winner of the 30-lap special will be another first timer at the Spencer Speedway. Also expected to be in attendance are Oswego Speedway rookie of the year contenders Joshua Sokolic and Tim Glidden Jr. with the possibility of a few more surprises lingering as rides continue to be sorted out for next weekend’s show. Pit gates will open at 4:00pm, practice will begin at 6:00pm, and racing will get the green flag at 7:15pm for the June 29 event. More information, including pricing, is available at (631)-745-9805. Spencer Speedway is located at 3020 Route 104 in Williamson, just a 45 minute drive from the City of Oswego.